angiosperm - A plant that produces flowers. 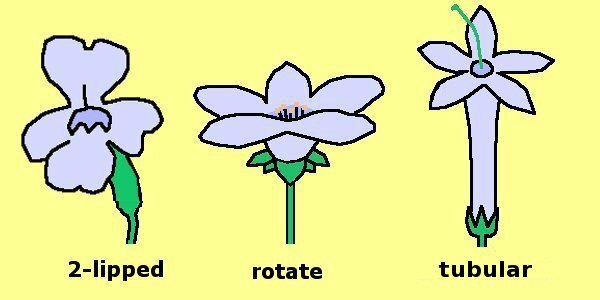 Two major groups: dicots and monocots. annual - A plant that completes its life cycle (germination through death) in a single year or one growing season. These plants are usually herbaceous or non-woody. biennial - A plant that completes its life cycle (germination through death) in a single year or two growing seasons. In most cases, flowers are only produced during the second year and plants tend to be herbaceous or non-woody. bulb - A short underground stem including the fleshy leaves or leaf bases attached to it or surround it. For example, an onion. catkin - A spike or cylindrical cluster of unisexual flowers, with inconspicuous flowers or flowers producing no petals. For example, willows (Salix). caudex - The short, possibly woody, stem of a perennial, located at or below ground-level. circumboreal - Found throughout the northern hemisphere, all around the world. 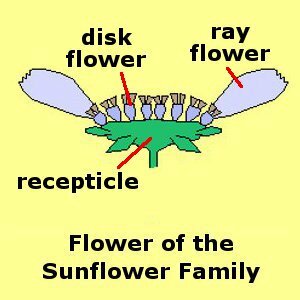 clone - Individual plants which are genetically identical as a result of asexual reproduction (budding, fragmentation of rhizomes or stolons, etc.). cotyledon - Seed-leaf; the first leaf present when a seed sprouts. deciduous - Usually refers to plants that are seasonally leafless and is the opposite of evergreen in this respect. decumbent - Lying mostly flat on the ground, but with segments curving upward. dehiscent - Splitting open upon reaching maturity inorder to release contents. Often said of seedpods. 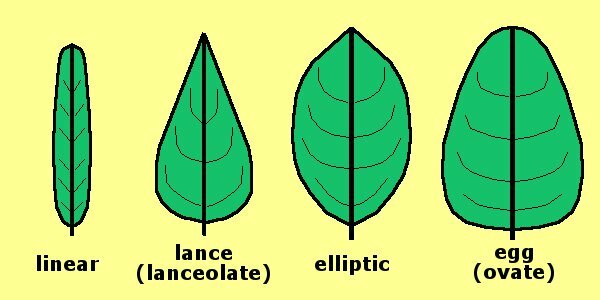 dioecious - Staminate and pistillate (male and female) plants separate, unisexual reproductive structures. diploid - Having two sets of chromosomes (maternal and paternal). distal - The far end of something. Farther away from the origin, more toward the tip or edge. endemic - Native to a well defined geographical area and restricted to that area. ephemeral - Lasting only a short time. Often said of desert herbs, which complete life cycle in a short period of time. exserted - Protruding out of surrounding structures. 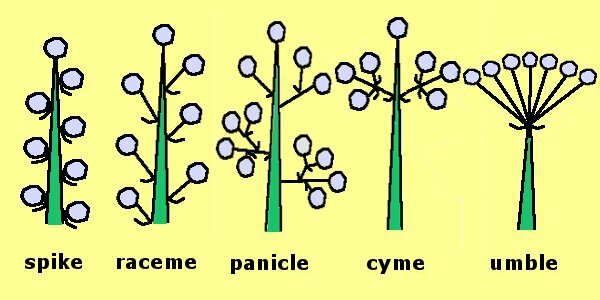 Often describes the stamens of certain plants. gymnosperm - Woody plant bearing cones (or in some cases naked on branches). habit - General shape or form of a plant. It's characteristic mode of growth. haploid - Having one set of chromosomes (either maternal or paternal). This is the normal state of spores, sperm, and eggs. herb - A plant with little or no wood above ground. May be annual, biennial, or perennial. hispid - Covered with bristly, stiff hairs, rough to the touch. included - Not protruding out of surrounding structure(s). intergrade - The gradual merging from one extreme to another through a series of intermediaries. internode - The space on the stem between leaves. interrupted - Having parts spaced unevenly. 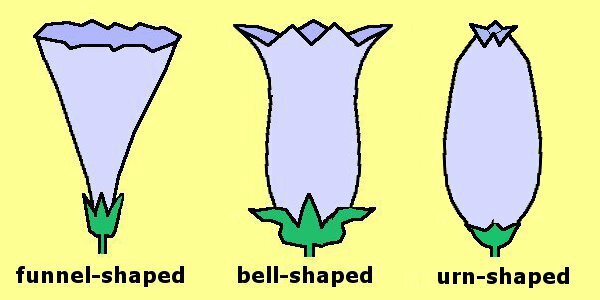 involcre - A group of bracts formed more or less as a single unit. 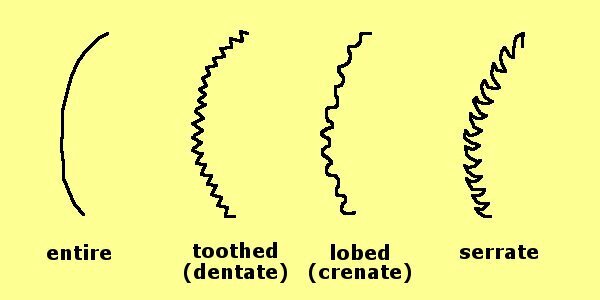 lenticel - A pore (or spongy area) most commonly found on the surfaces of twigs or fruits. margin - The edge of a leaf (or sometimes perianth part). 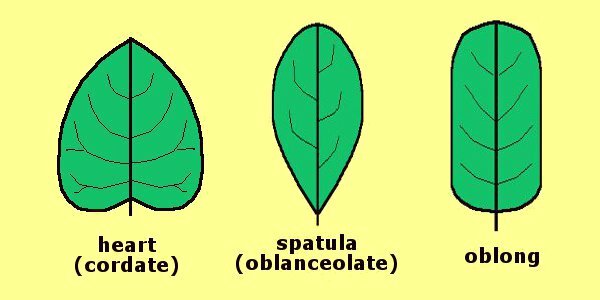 monoecious - Staminate and pistallate (male and female) structures found on the same plant. naturalized - A non-native plant (alien) which inhabits an area without further human assistance. pedicel - The stalk of a single individual flower or fruit. 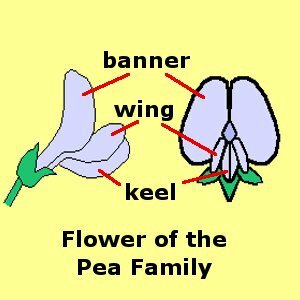 peduncle - The stalk of an entire inflorescence (or of a single flower or fruit if not part of an inflorescence). perennial - A plant living more than two years or growing seasons. polypoid - Having three or more sets of chromosomes (denoted as 3n, 4n, etc.). proximal - The close end of something. Closer to the origin, farther away from the tip or edge. puberulent - Having hairs that are not readily visible without magnification. rhizome - An elongated, horizontal, underground stem. rosette - A radiating cluster of leaves normally at or near ground level. saprophyte - A plant usually lacking chlorophyll that lives on dead organic matter. scabrous - Rough to the touch normally as a result of having short stiff hairs. scapose - Describes a plant or inflorescence with a relatively long peduncle that arises from the ground, often from a rosette, sometimes bearing bracts, but leafless. serpentine - General term used to describe rock and soil with exceptionally high concentrations of magnesium and iron. Characterized by low levels of calcium and other nutrients and high levels of magnesium, iron, and certain toxic metals. Many types of plants either require or cannot tolerate this type of soil. sessile - Having no petiole, peduncle, pedicel, or other kind of stalk. stellate - Like a star. Usually refers to a hair with three or more branches which radiate out from a common point. stolon - Normally a thin, elongated stem lying more or less flat on the ground and forming roots as well as shoots or stems which become new plants. Also known as a runner. subshrub - A plant with woody lower stems and upper stems and twigs which are not woody and which dies back seasonally. suture - Groove or line of dehiscence or fusion. tomentose - Covered with dense, interwoven, matted hairs. 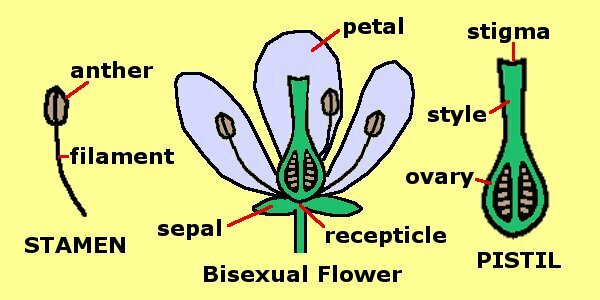 unisexual - Plants which produce flowers that have either stamens or pistils, but not both, which are fertile. waif - A non-native plant which will not naturalize, but which may persist in an area for a generation or two before dying away.